Lanzarote’s biggest resort has all the things that people love about the Canary Islands: There’s a choice of beaches on the oceanfront, colourful nightlife, ideal scuba diving conditions and a ton of things for families to do. Lanzarote also has those classic Canarian lunar landscapes, best enjoyed at the Timanfaya National Park and the Cueva de los Verdes lava tube. The island has avoided heavy development and many of its top attractions were developed with the help of the artist César Manrique, who gave them a timeless, space-age style. 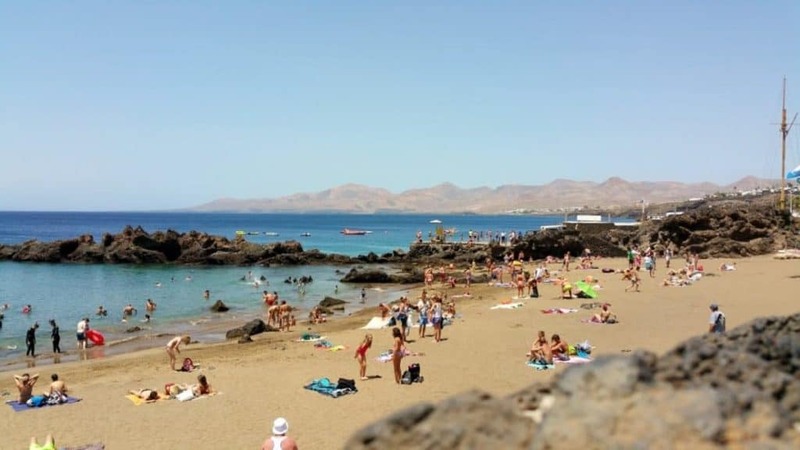 The volcanic outcrops on either side of Puerto de Carmen’s best beach help create pool-like calm waters. On the beach kids can splash around in safety, provided they keep an eye on the rocks that are sprinkled around the bay. In the water these walls create perfect clarity, so you have to bring your snorkelling gear when you come to see the seabed that teems with life. Divers also use Playa Chica to get to El Veril de la Tiñosa, a huge drop-off a little way out.